We took the back roads from Nice up through gorgeous alpine scenery with a lunch stop along the way. Here are some scenes from that drive. 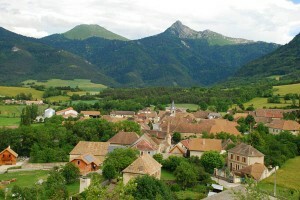 Sisteron has been inhabited for 4,000 years. 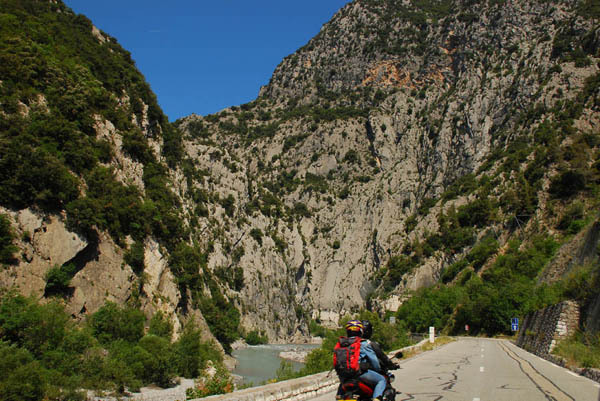 The Romans used the route through Sisteron as can be shown by a Latin inscription in the rocks near the road to Authon. It escaped the barbarian invasions after the fall of Rome, but was ravaged by the Saracens. 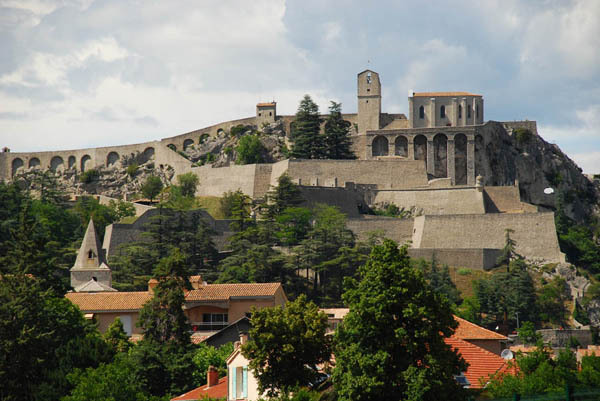 It was first fortified by the Counts of Forcalquier in the 11th century and later was the northern boundary of the domain of the Counts of Provence. In 1483 during the reign of Louis XI, Sisteron re-joined the kingdom of France. Around this time there were seven plagues that killed two thirds of the population. Between 1562 and 1594 the town and its citadelle was fought over by Protestants and Catholics including two sieges. During this time the walls of the town were built. The plague returned in 1630, and typhus in 1744, killing many of the town’s population. During the French Revolution the town remained Royalist. Consequently when Napoleon arrived on his march north after his escape from Elba in 1815, the town ignored him and let him through. 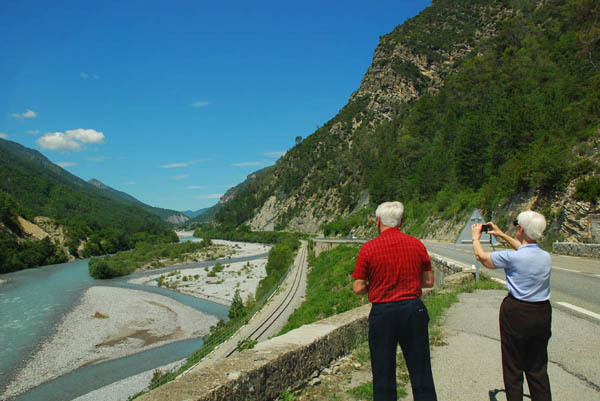 On 15 August 1944 French B-26 Marauder bombers and American B-17 Flying Fortresses of the 42nd Bomber Wing tried to destroy the railway bridge and the road bridge which span the Durance. The weather was unfavorable and the bridges were not destroyed. A bomber during a maneuver to avoid a collision accidentally dropped several bombs on the town. including a full church, causing about 100 fatalities and seriously damaged the citadel. On August 17, the French aircraft returned and destroyed the bridges. 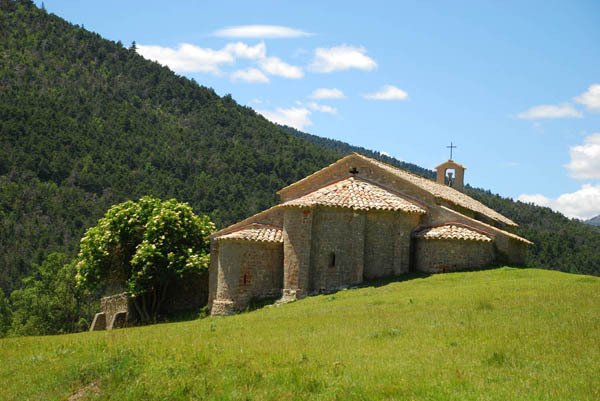 A chapel from the 11th century along the road. Soon after leaving Nice we entered a wonderland of canyons and a turquoise river. 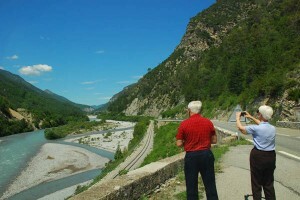 Posted in France Tours and tagged drive, grenoble, nice, sisteron.